Not only was it a much smaller size, but it didn’t require a springform pan, AND it included the birthday boy’s favorite thing ever – RASPBERRY! -Line 8- or 9-inch square pan with Reynolds Wrap® Aluminum Foil, with ends of foil extending over sides. Mix cookie crumbs and butter; press onto bottom of pan. Melt 2 oz. chocolate as directed on package. -Beat cream cheese, sugar and vanilla in large bowl with mixer until blended. 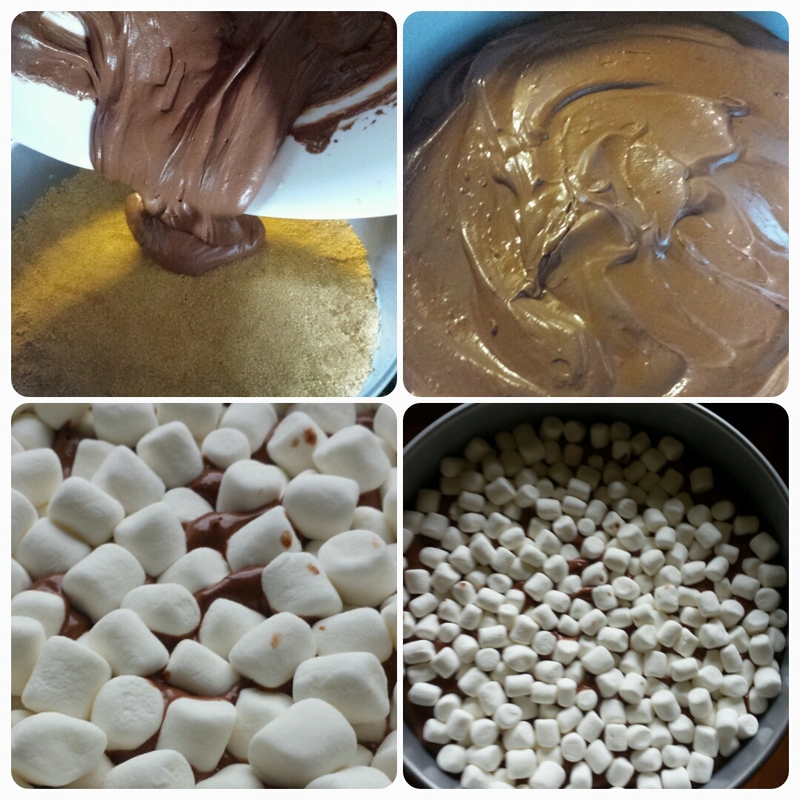 Add melted chocolate; mix well. Add eggs, 1 at a time, mixing on low speed after each just until blended. Pour over crust. -Bake 25 to 28 min. or until center is almost set. Cool 5 min. ; spread with preserves. Melt remaining chocolate; drizzle over cheesecake. Cool cheesecake completely. Refrigerate 4 hours. Adding the best part – the topping! So if you’re looking for an alternative to regular cheesecake because you don’t need that much (or just because you don’t have a springform pan handy!) then try these – you won’t be disappointed! Hope everyone had a great time celebrating our Nation and all that makes it great yesterday! 4th of July is the perfect holiday for grilling, hanging with friends, and having fun – which is exactly what we did! We went over to a friends house have a little cookout – and I brought the desserts. Yes – desserts plural. I made 3 desserts and I am not ashamed of it – I just couldn’t narrow it down to one, and besides, doesn’t everyone like to have choices? I know I do! -Preheat the oven to 325 degrees. Line a 9×13 pan with foil. -Place the cookies (cream included) in a food processor. Pulse until the cookies become crumbs. -Stir in the butter until mixed in. Press the mixture evenly in the bottom of the prepared pan. Bake for 10 minutes. Remove and cool. -Place a large baking sheet on the bottom rack of the oven. Fill it halfway with water. Let the oven preheat again. -Beat the cream cheese and sugar until creamy. Add the sour cream, vanilla, and flour and beat again. -Add the eggs and beat until they are mixed in. 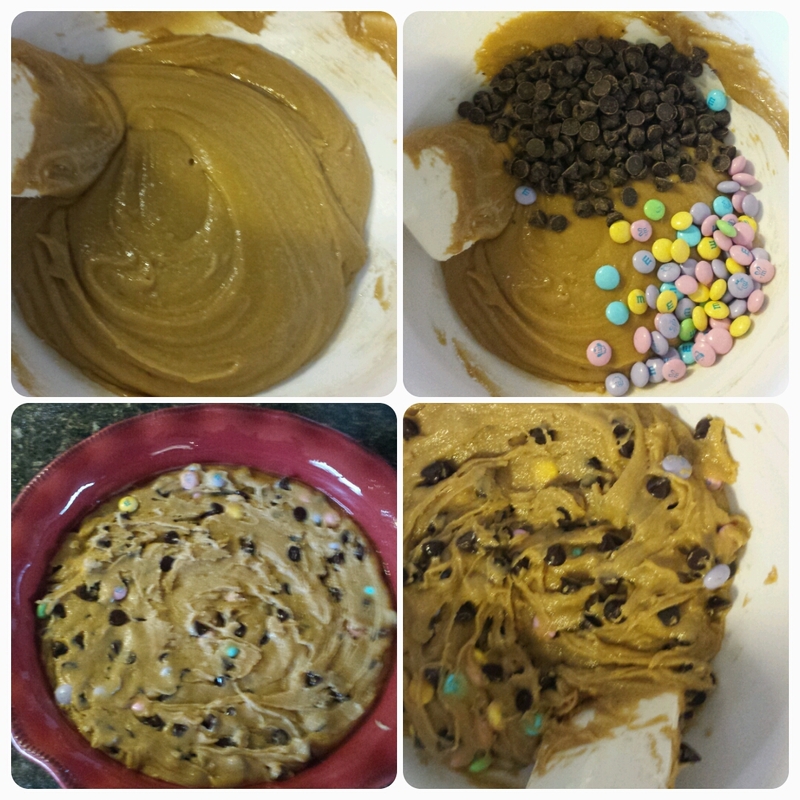 Divide the batter evenly into 3 bowls. Use the food coloring to tint two of the bowls red and blue. 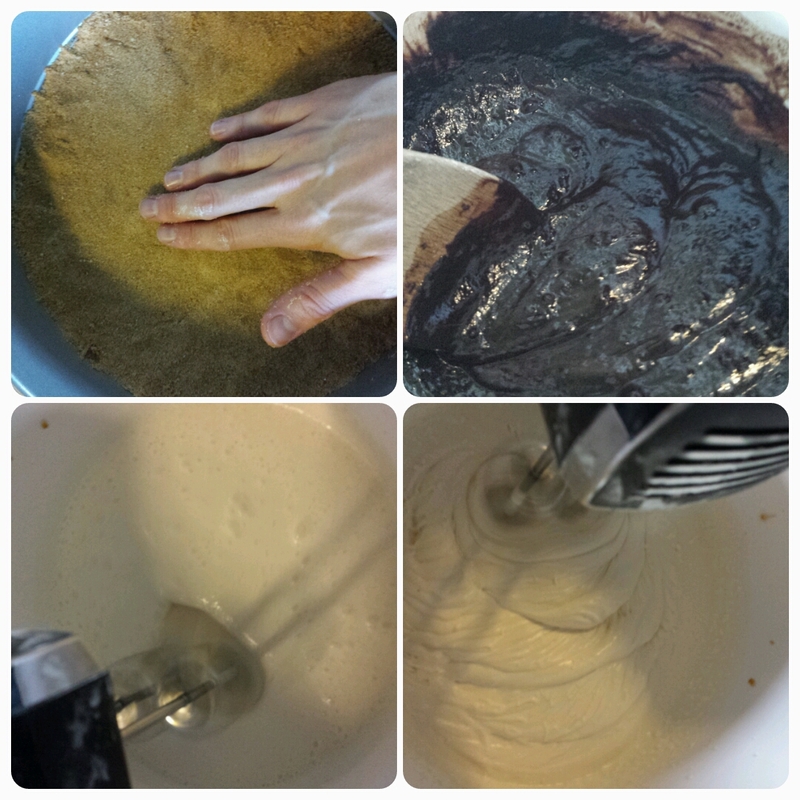 -Spoon the mixture evenly over the crust, alternating the colors. Drag a butter knife through the batter going up and down and back and forth until you get a good swirl pattern. Do not over mix. -Place the pan on the oven rack above the pan of water. Bake for 45 minutes. Remove from the oven immediately and place on a wire rack. Let the cheesecake cool on the counter for 1 hour, then refrigerate for 4-6 hours. Cut into squares and serve with Cool Whip and sprinkles, if desired. Colored fillings swirled prettily? Check! Patriotic and delicious cheesecake bars? CHECK! 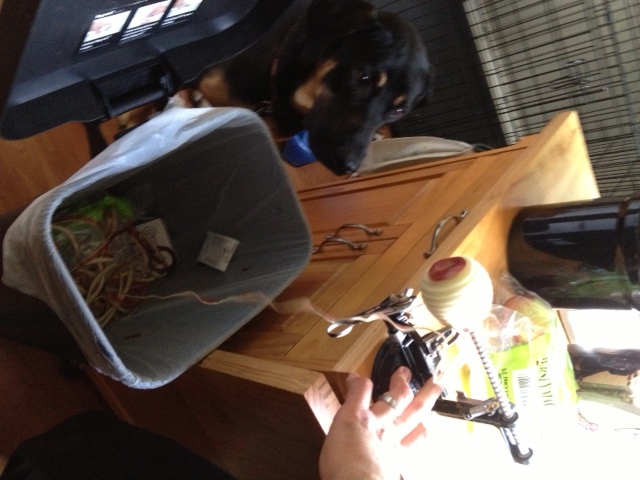 Ok – so – one down, two to go. On to the “healthy” dessert (stated as such since it’s base is fruit…kinda healthy, right? Taking the time to dip each individual berry is kind of a pain – but they are so pretty that it makes it worth it! 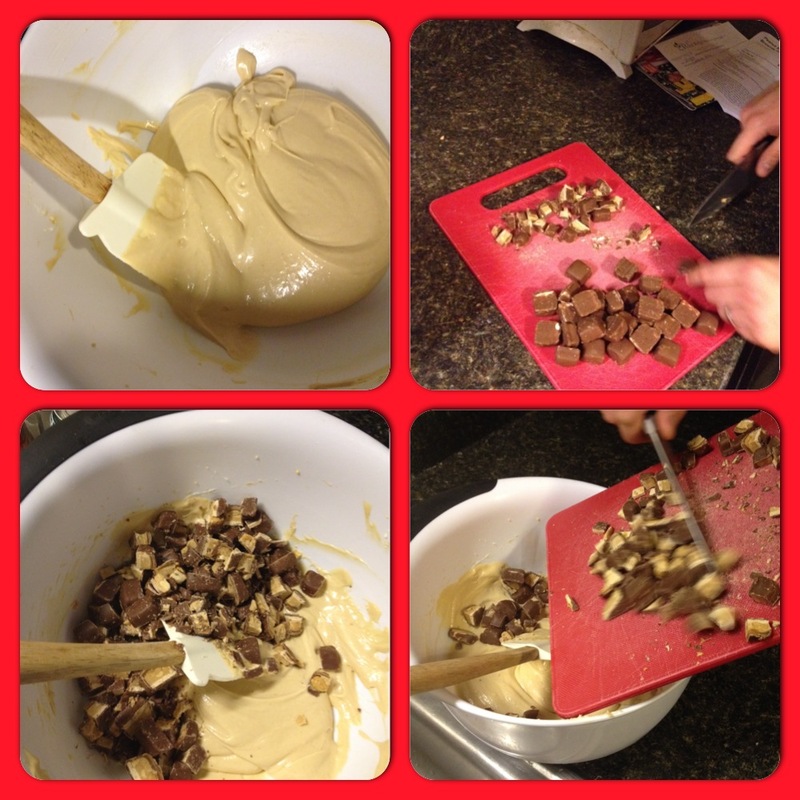 And on to the final dessert in the trifecta – Cannoli Dip! Easy, tasty, no baking required! One of the best parts about summer holidays like the 4th of July is the chance to get to try out some new recipes at BBQ’s, picnics, and family reunions – and when you’re indecisive like me, you end up trying multiple things at a time, and this time I have to say I am glad I did – as they are truly all winners! Yesterday was Father’s Day – so Happy (slightly belated!) 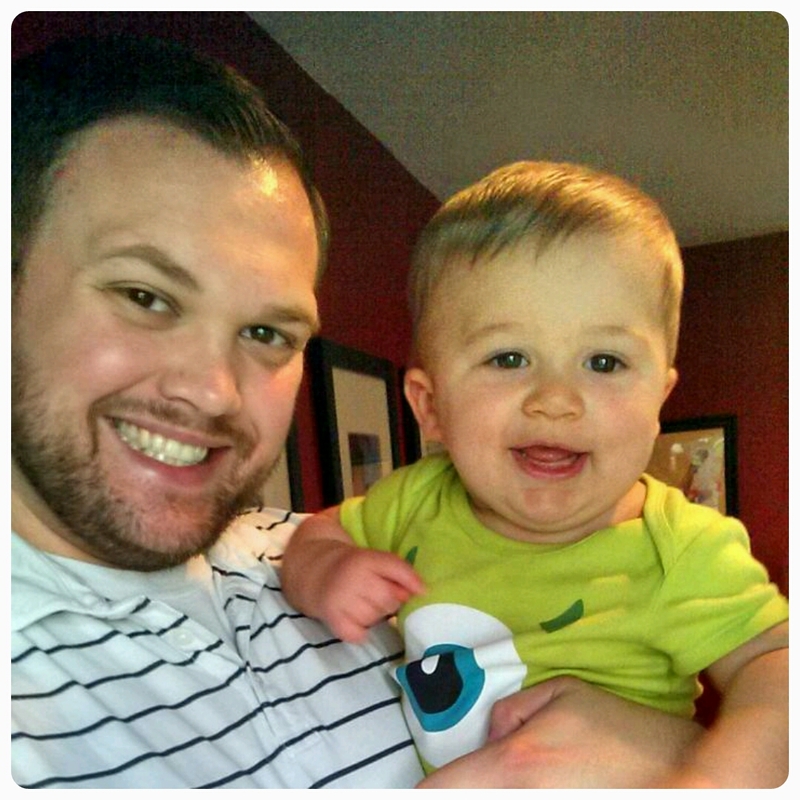 Father’s Day to all the dads out there – and a very special Happy FIRST Father’s Day to my husband – he’s an amazing guy and it’s been so great to watch him be a dad to our little guy. 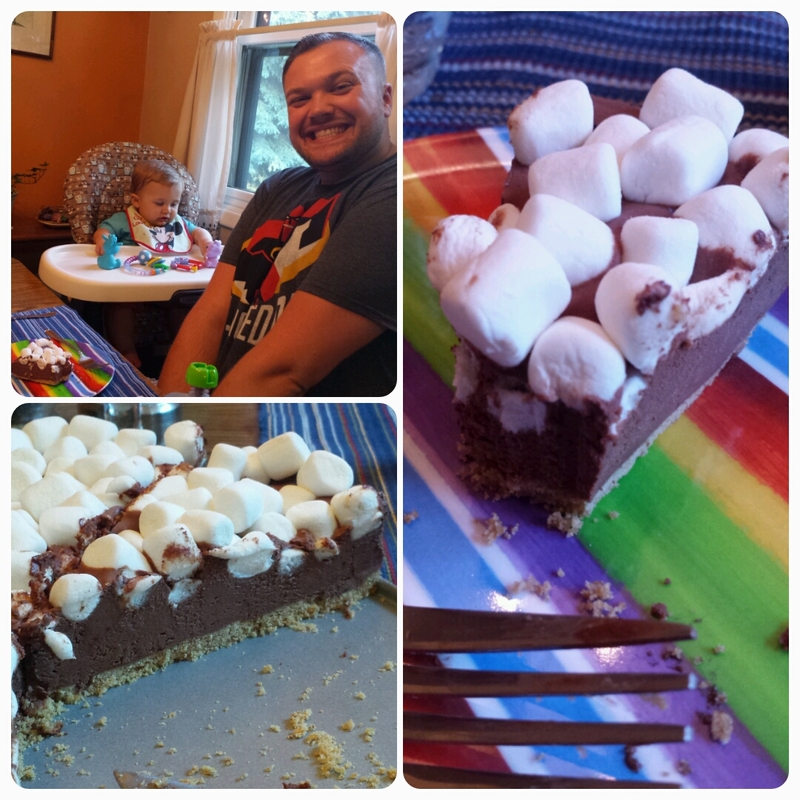 I knew I wanted to do something special for him to show him how much I love him and appreciate all that he does, and when I came across this recipe for Chocolate stout s’mores icebox pie – I knew it would be perfect. After all, what man wouldn’t love for someone to make them a pie – and not just ANY pie, but one with chocolate and BEER in it? One thing I love about this is that it is a no-bake dessert (I REALLY am a fan of no bake pie in the summer!) – so no heating up the house or sweating over the oven! 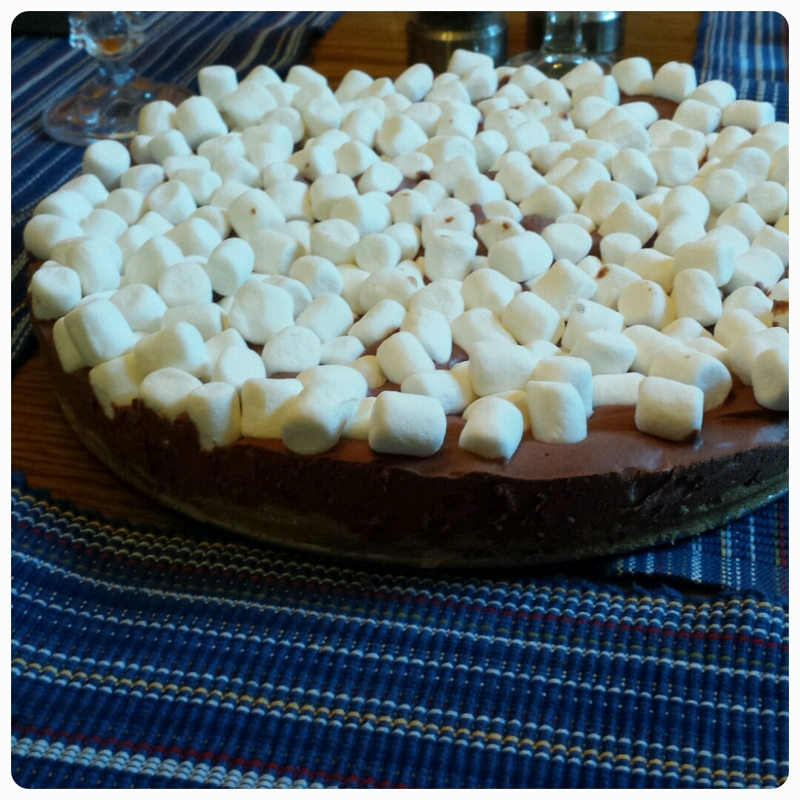 My dad and husband both loved it – so I think I made a good choice for their Father’s Day dessert! To all the dads out there who would do anything for their families (like my dad and husband!) – I salute you, and hope you had a great day, and that you’re celebrated not just on this holiday, but all year long. Cheers! 1. Preheat oven to 350F. Spray a 9-inch pie dish very well with cooking spray; set aside. 2. In a large, microwave-safe bowl melt the butter, about 1 minute on high power. 3. Wait momentarily before adding the egg so you don’t scramble it. Add the egg, sugars, vanilla, and whisk until smooth. 4. Add the flour, optional salt, and stir until just combined; don’t overmix. 6. 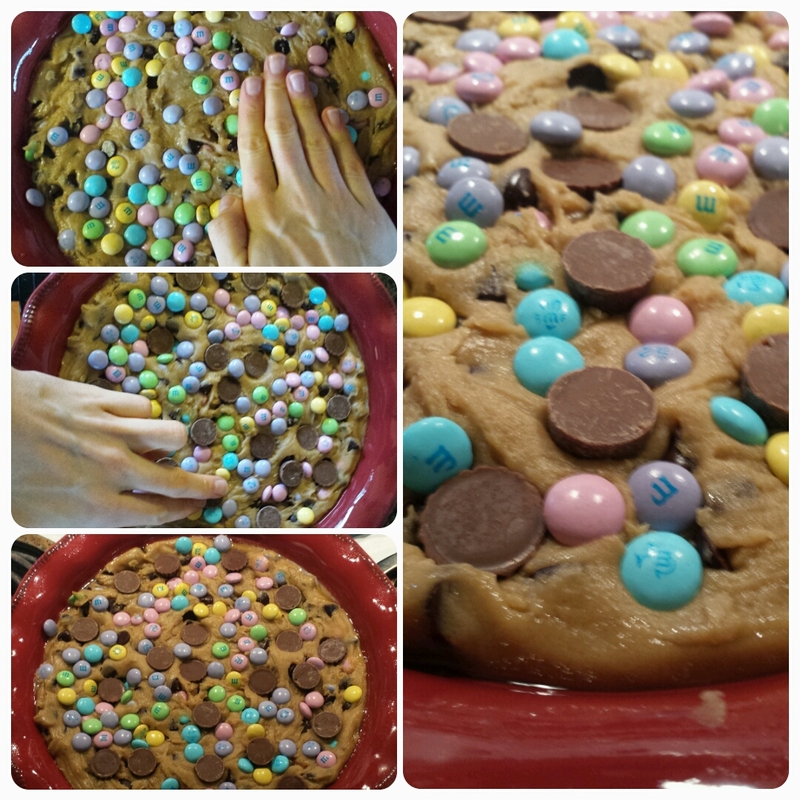 Add about 1/4 cup M&Ms and stir to combine; reserve remainder. 7. 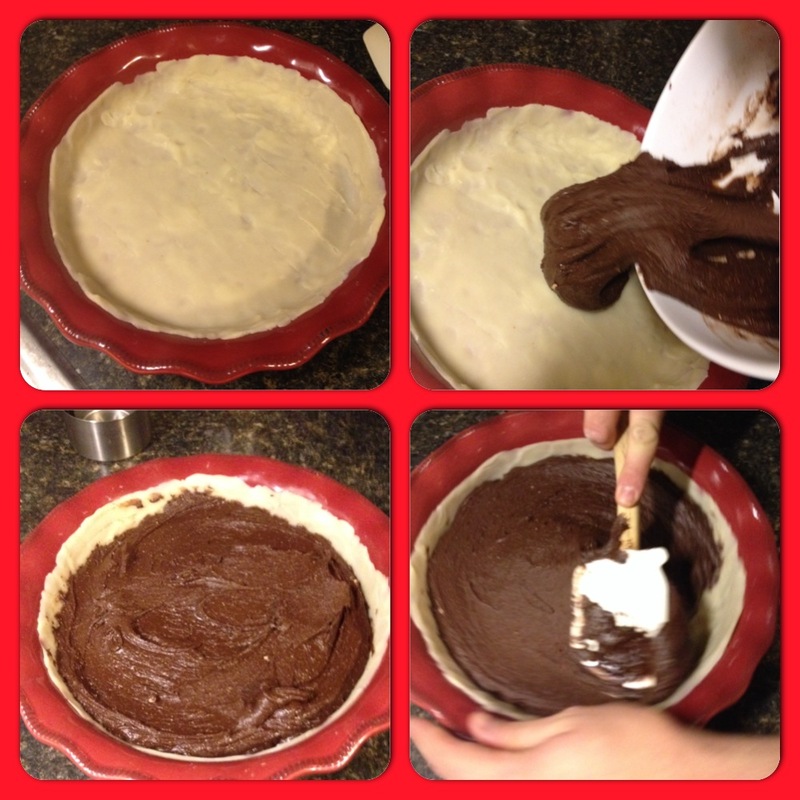 Turn batter out into prepared pie dish, smoothing the top lightly with a spatula. 8. Evenly add the remaining M&Ms to the top of the batter, pushing them down slightly to anchor. 9. Evenly insert the peanut butter cups and Rolos into the batter, pushing them down so the top is almost flush with the surface of the dough. 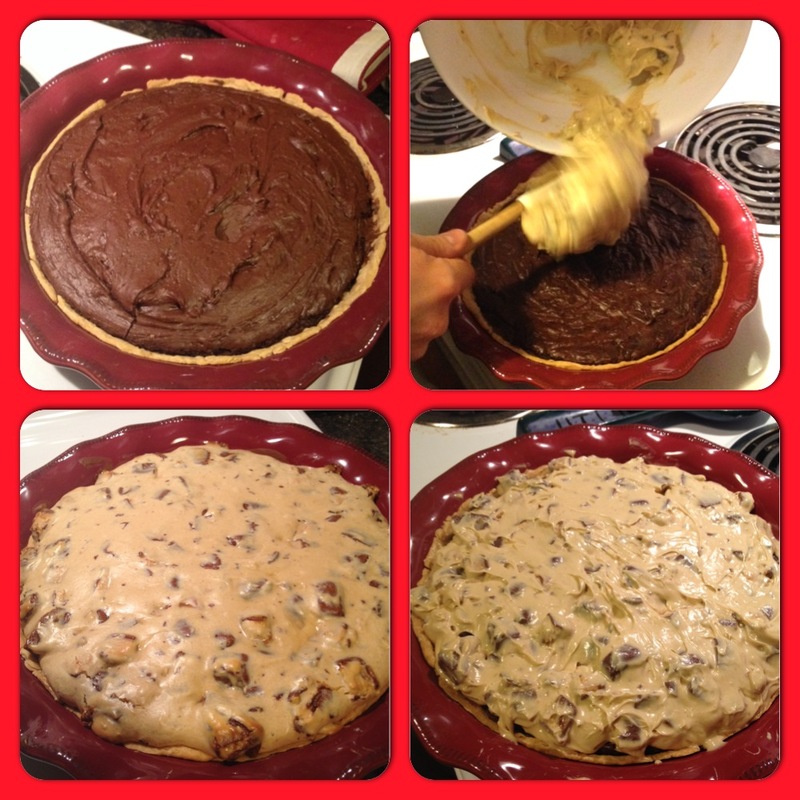 Caption: Cookie Pie – all ready to get baked! 10. Bake for about 24 to 26 minutes, or until a toothpick inserted in the center comes out mostly clean, or with a few moist crumbs, but no batter. If your pie has risen in the center, it will deflate as it cools. Allow pie to cool in dish for at least 30 minutes before slicing and serving. Pie is meant to be on the soft and underbaked side in the center while edges are crisper, which is how I prefer my cookies. In general, if you prefer more well-done cookies, bake a few minutes longer. Pie will keep airtight at room temperature for up to 1 week, or in the freezer for up to 6 months (color may leech from the M&Ms if you freeze it). 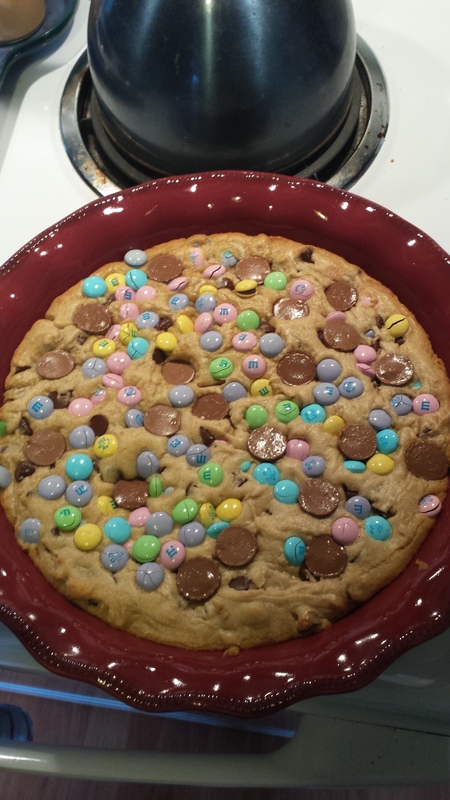 This tasted great – had the basic sugar cookie type base, and all those yummy candies were just the perfect addition! 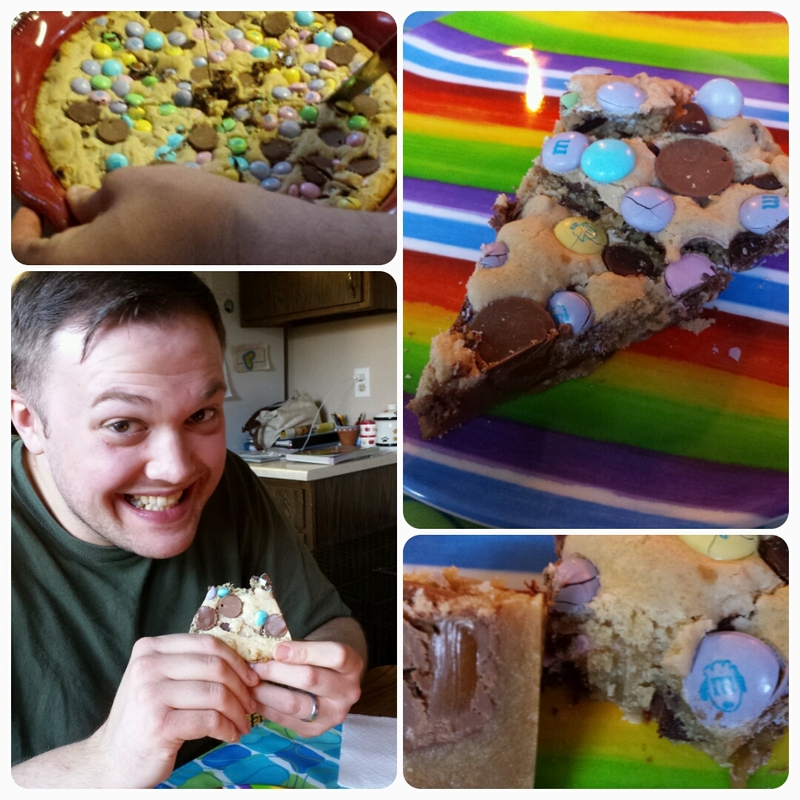 It had that slightly underbaked quality which I LOVE – and while it’s no grocery store cookie cake, I must say it is awesome! Is it a cookie? Is it a pie? I don’t really care honestly – all I care about is that it’s delicious and a winner all around! I am a sucker for Valentine’s Day – the hearts, flowers, declarations of love – it’s sappy and silly and I don’t care, I love it all. And I especially love when my man gets in the kitchen and whips me up something delicious and sweet for Valentine’s Day! When he found this recipe for Peanut Butter Snickers Cheesecake Brownie Pie he was sold – the combo of chocolate, brownies, peanut butter, cheesecake, and pie – I mean, who wouldn’t be intrigued? 1. Let the pie crust sheet sit out on the counter for about 15 minutes. Remove wrapping and unroll gently. Press into a 10 inch pie plate and crimp edges. Set aside. 2. 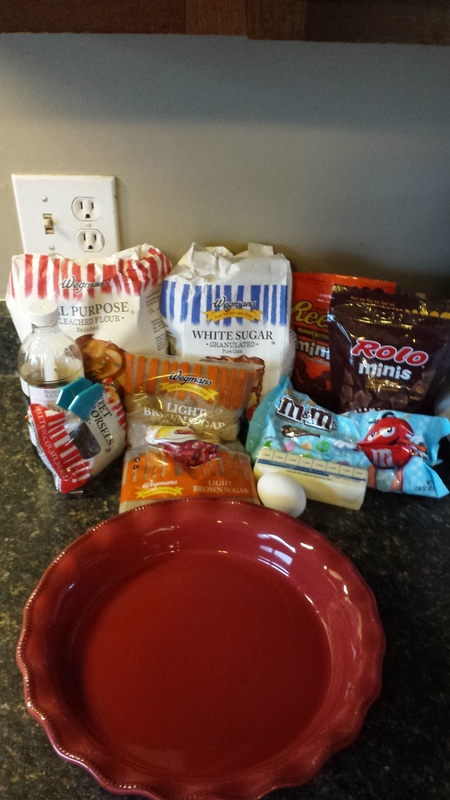 In a mixing bowl, combine the brownie mix, oil, water, and egg. Mix just until combined. It will be very thick. Spoon into pie plate and spread out. Bake at 350* for 35 minutes. 3. 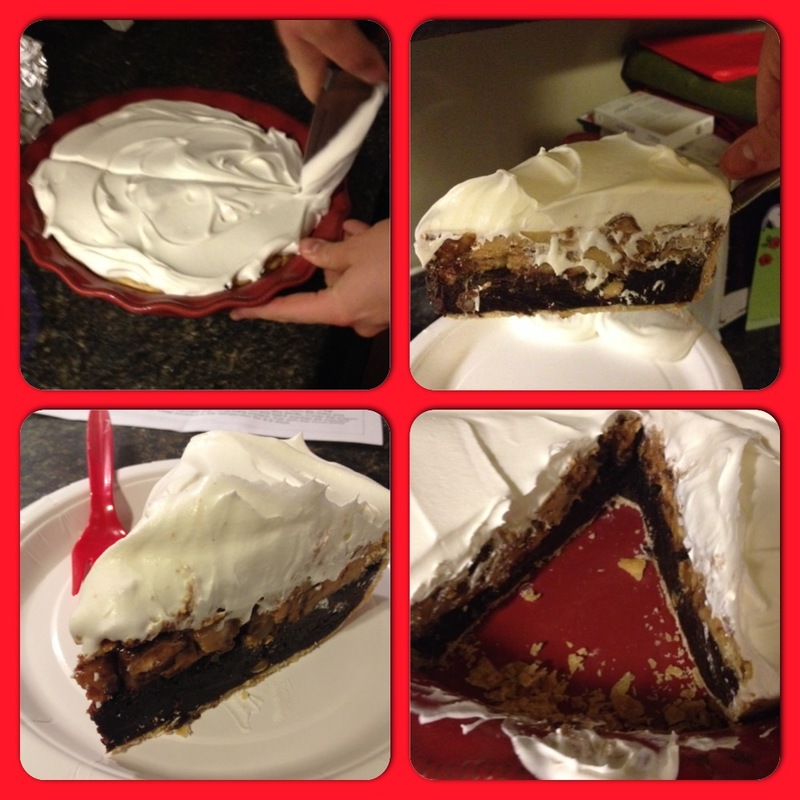 While the brownie pie is cooking, place the cream cheese and sugar in a mixing bowl and beat until creamy. Add the egg, vanilla, and peanut butter and beat again until creamy. Stir in the Snickers candies by hand. When the brownie pie is finished baking, remove from the oven and gently spoon the cheesecake batter on top of the brownie. Spread out very gently. Cover the edges of your crust with foil to keep them from burning. Return to the oven and bake another 25 minutes. Remove from the oven and let cool. Refrigerate until completely cooled. Top with the Cool Whip and sprinkles. Cut into 12 slices. Keep covered in the refrigerator for 4-5 days. We ended up cutting this into 8 pieces – but that is actually a decision I regret – we definitely should have paid attention to the recipe and cut it into 12 – as it is REALLY INTENSE. 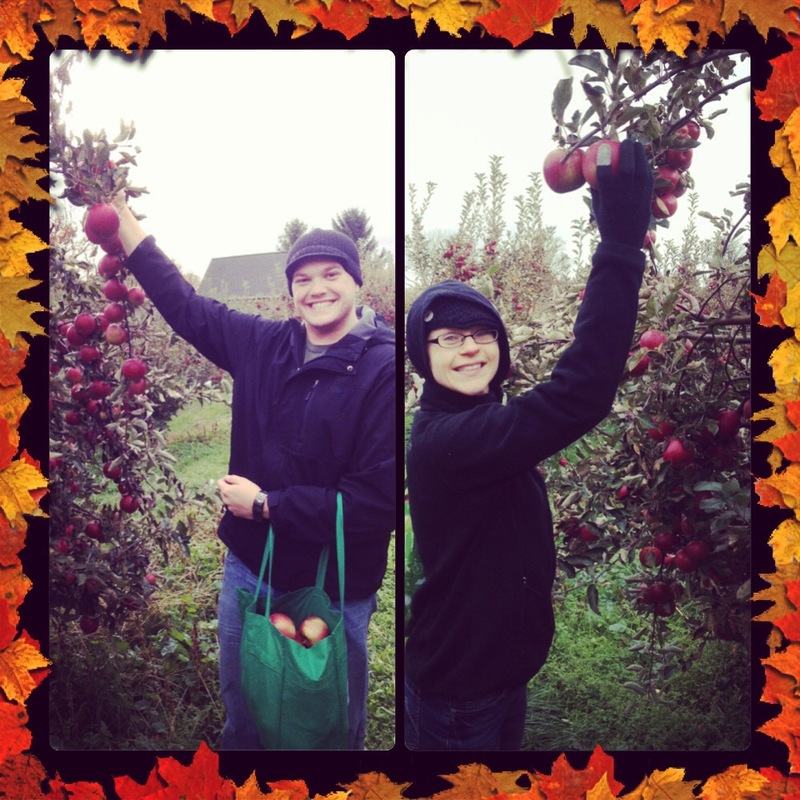 It’s rich, and delicious – but you don’t need much of it, that’s for sure. The brownie layer is thick and fudgy, and the peanut butter cheesecake layer is nice and creamy, and the snickers add a great textural aspect to it. The whipped topping is a nice fluffy end to the pie, and overall – it’s a perfect pie for peanut butter and cheesecake lovers. Personally? I am NOT much of a cheesecake fan, but I did enjoy this – probably because I am a HUGE brownie fan and I loved that these brownies were nice and dense. Also, I LOVE LOVE the Peanut Butter Snickers that are used in the pie, so this was definitely a win win overall – paired with a nice tall glass of milk to wash it down, it was the perfect sweet to celebrate Valentine’s Day with my sweetie! 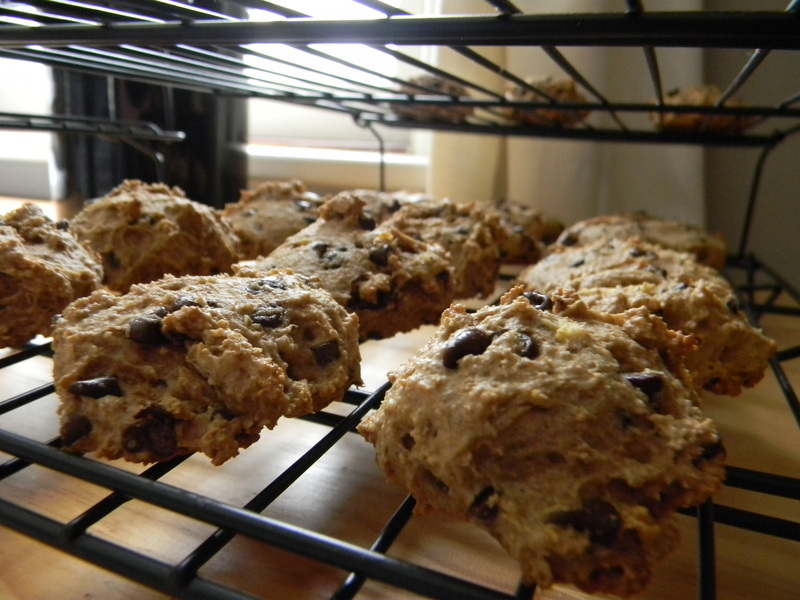 At the start of the year I did a post about Healthier Chocolate Chip cookies, and I was reading it over last night and it got me to thinking about substitutions – ones that are quick and easy and can make a recipe healthy without sacrificing taste. Most of these substitutions work really well because they use things you likely already have in your pantry at home – what a great way to cut out calories and fats from the things you love to bake (and your family probably won’t even notice the difference in taste, so it can be your little secret!) Easy, right? What about you – what baking substitutions do you swear by?